‘Learning experiences are like journeys. The journey starts where the learning is now, and ends when the learner is successful. The end of the journey is not about knowing more, it’s about doing more’ – Julie Dirksen, learning strategy and design consultant. When we consider the Grain SA Farmer Development Training that transpires every year, this quote rings very true. Knowledge means nothing if not implemented. Training is not just done for the sake of training. You as farmers are enriched with the knowledge and practical skills to grow and continuously improve your own crops, how to store your crop, how to sell your crop, how take care of your equipment, how to assess what you have and to plan ahead, how to be financially sustainable and so much more. This knowledge is used on a daily basis to provide for yourselves, your family and to contribute to household food security in our beautiful country. It is an honour to report that 3 510 farmers have attended the 214 Grain SA courses presented during 2017! Every farmer who took the decision to better himself or herself by choosing to attend these courses should be very proud. 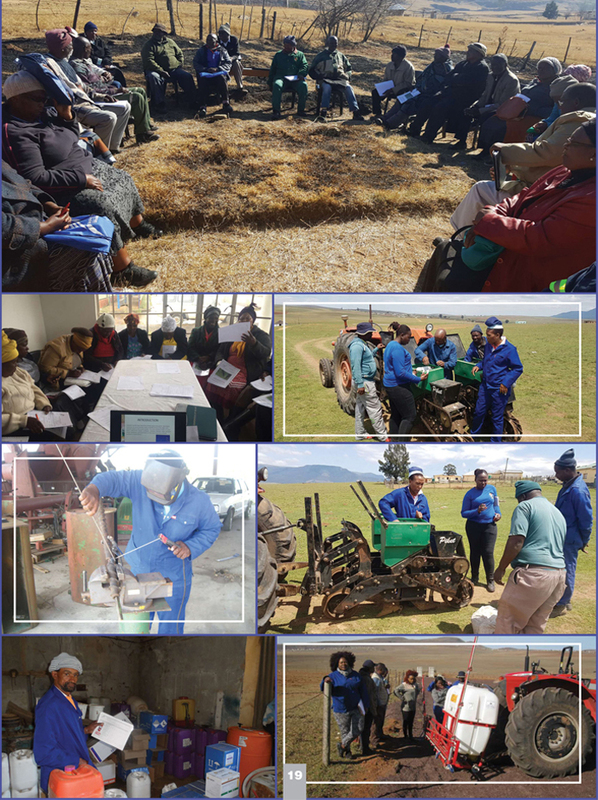 We would like to thank our various funders namely the Maize Trust, Winter Cereal Trust, OPOT, Sorghum Trust, DST (Department of Science and Technology), Jobs Fund, DRDAR EC (Department of Rural Development and Agrarian Reform, Eastern Cape) for making these 2017 training courses possible. Article submitted by Liana Stroebel, Provincial Co-ordinator, (Western Cape) of the Grain SA Farmer Development Programme. For more information, send an email to liana@grainsa.co.za.